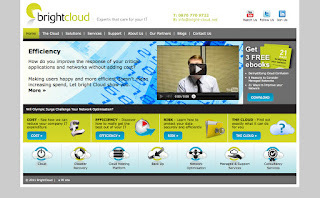 Development of the BrightCloud website is in its final stages. 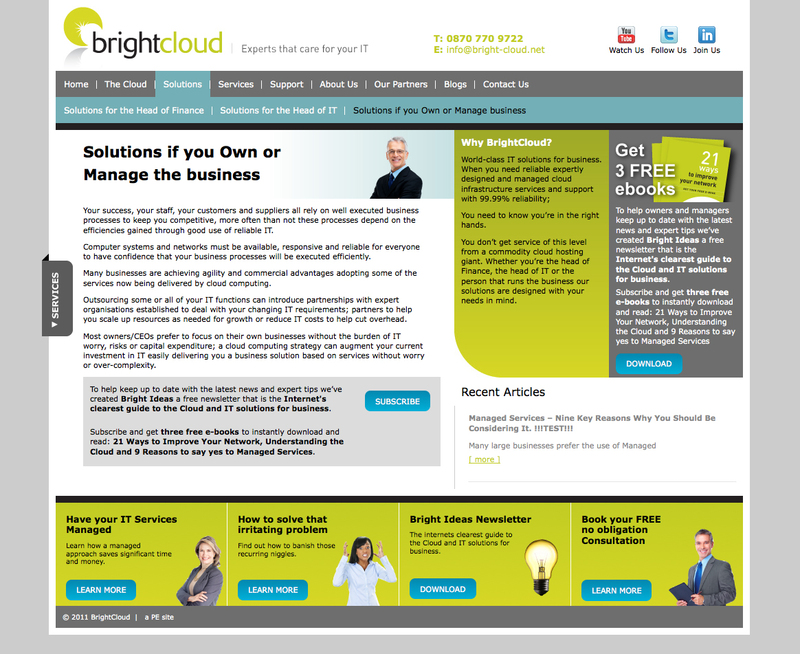 BrightCloud is a cloud based company providing flexible managed solutions including hosted applications, on demand computing, virtualisation, online backup, business continuity and network optimisation; managed by you or by their expert managed services. 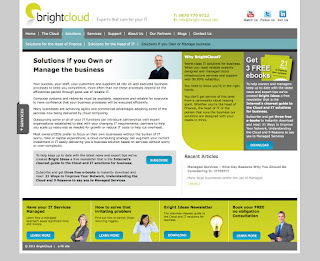 We've brought their site up-to-date employing all the latest social and dynamic elements that show potential customers BrightCloud is at the forefront of web technology. 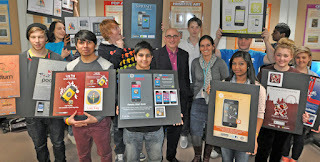 Multiple blog feeds, dynamic sliders and pull out tabs to give the user a modern and simple way to navigate the site. 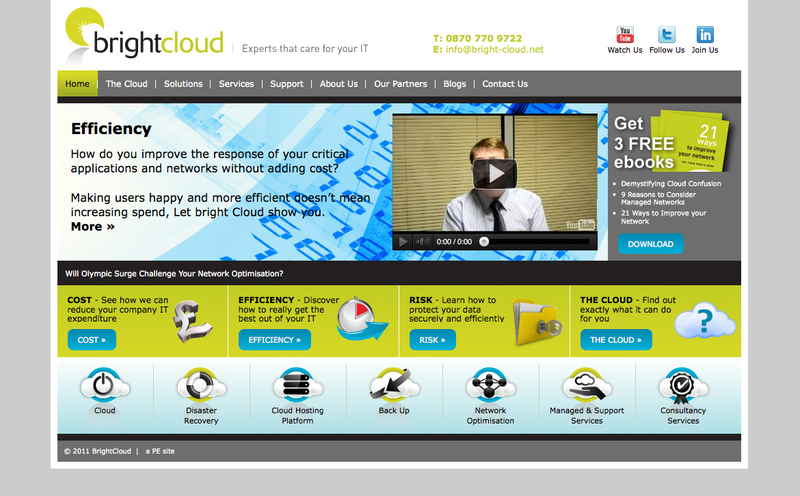 What is more, the site will be powered by EditThis our brand new effects generator and content management tool - demo coming soon to a sit near you! We'd love to help you to bring your online presence up-to-date - please call us on 01332 291141 to find out how.